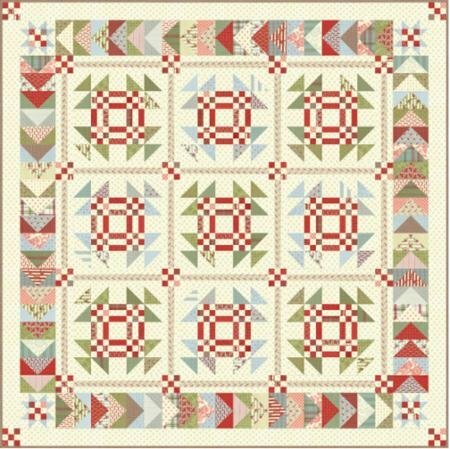 This great kit is by Moda designers Minick and Simpson. It includes the pattern and all the fabric to make the top and binding. The kit comes in a keepsake box.